Unparalleled color capabilities to produce the most realistic models with the highest resolution full CMYK, at high throughput with 5X-10X faster print speed than all other technologies and up to 7X lower part cost. 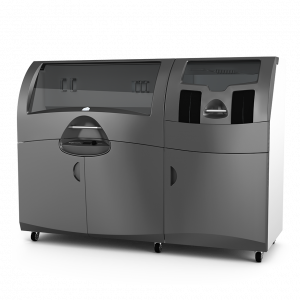 The ProJet® CJP 660Pro is the simplest and most efficient large-build, full-color 3D printer of its class. It is fast, accurate, high resolution and uses eco-friendly, non-hazardous materials with zero liquid waste. Ideal for architects, consumer product design and development, education, medical models, stop-motion animation, professional model shops, fine art production and more.